Herring Gull PEA 1cy (argenteus), August 11 2008, Boulogne-sur-Mer, France. Picture: J-M Sauvage. 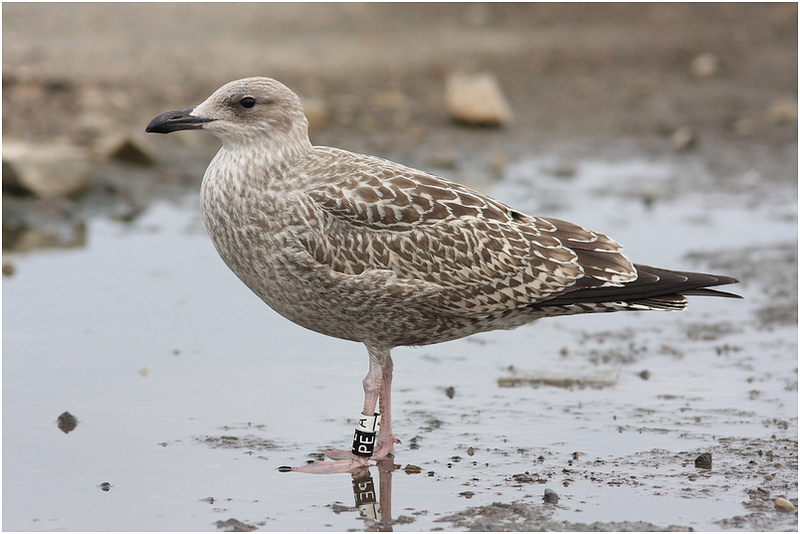 Bird ringed at Calais, France on 12 July 2008. Juvenile plumage, but some U.S. missing.